Steven Tyler feared he’d lose his creative edge if he stopped taking drugs and checked into rehab. 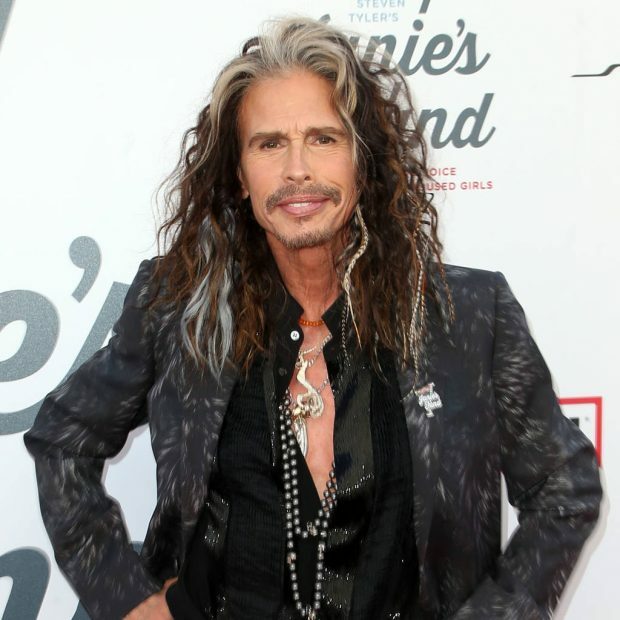 The Aerosmith frontman admits he’ll always be grateful to his bandmates for staging an intervention and forcing him to seek help as he started spiraling out of control, but at first he thought they were trying to “brainwash” him. In a joint GQ interview with fellow former abuser Joe Walsh, the Love in an Elevator singer says, “(They said), ‘If I don’t go away to rehab, then the s**t’s over. “It was interesting that I was being told by a bunch of guys that were still getting f**ked up, but I’m grateful that that happened ’cause I would have never seen the light. But the drink and drugs eventually robbed him of his friends and his love of music. The Eagles star adds, “I ended up (being) this godless, hateful thing. I had burned a lot of bridges. I had done crazy things. I didn’t really have any friends… I forgot I play guitar – just didn’t do that anymore. I just kind of isolated and sat at home, and I had my own little universe that I was the head of. The only thing that mattered was not running out of vodka and cocaine. And that was a lot of work. Walsh has been sober for 25 years.